In today's healthcare environment, more and more people are bringing their Wi-Fi devices into the hospital's infrastructure. This presents a unique challenge to the hospital IT administrator. 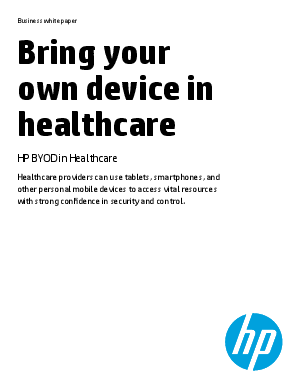 This paper discusses the challenges and solutions on how HP addresses the security and management of multiple Wi-Fi devices being introduced into the wireless/wired network.